The old adage “less is more” should not apply to your resume. While it’s true hiring managers’ and decision makers’ time is precious, it is also important to ensure your resume contains detailed information. In the IT field, a beefier profile is definitely more beneficial. Upon review, your resume should clearly state what you do, what you are good at, and what you have accomplished. For example, if you’re a Network Engineer you wouldn’t want to list every single router and switch that you have ever touched or worked on. Instead, list the specific ones that you worked with under each job. On a technical resume you don’t need to include every skill set under the sun in the technical skills section. Make sure you list your technical skills in the experiences in which you used them. Also make sure you include how you used these skills. A common mistake is to list them in the skill set section. The point of a resume is to show how the various skills you have learned and experiences you have had will apply to the position you’re hoping to obtain. If you have gaps in your employment history, explain what you did with your time and what types of jobs you applied for. Prospective employers may see gaps as red flags, but if you explain them carefully, it should ease their concern. Use keywords: Ideally, a recruiter or manager should be able to put your resume side-by-side with the job requirements and check off the same keywords. Don’t include a lot of jargon. Many applicant tracking systems are based on keyword searches. Tailor your resume to fit the position: Take a look at the job description and tailor your resume accordingly. Don’t take a “one size fits all “ approach. You should customize your resume for each position you apply for. Research the position’s requirements and modify the ones in your resume so that they match as closely as possible. Chronological is king: Functional resumes may look nice, but chronological resumes are still the most preferred format for recruiters and hiring managers. Lose the references: Don’t waste space including “References Available Upon Request”. This is pretty much a given. Skip the objective: Most managers skip over this anyway or they will weed you out if that objective is not a match with the job you’re applying for. Let your skills, experience and results speak for you. 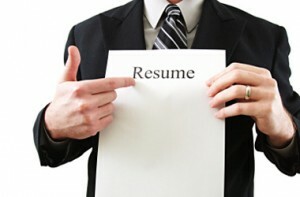 If you incorporate these tips, you are on your way to having a successful resume. Stay tuned for more articles and tips that will help you be successful in your job search.